Joe Flacco, last week’s Bad Quarterback of the Week, was actually quite good in yesterday’s 44-20 stomping of the Detroit Lions. 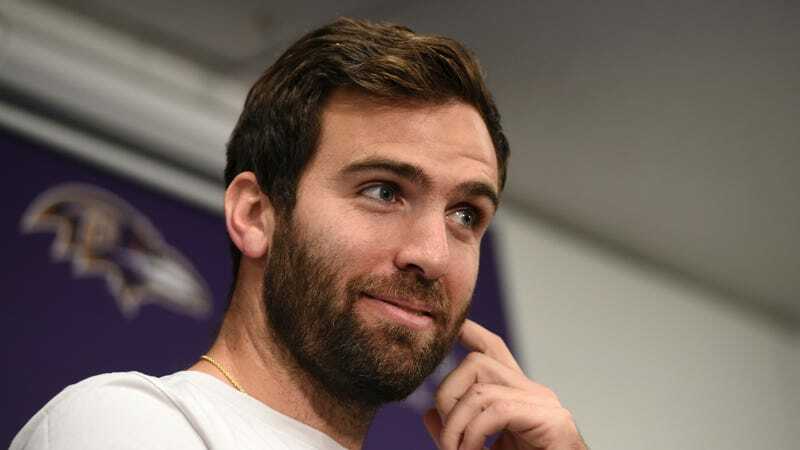 Flacco threw for 269 yards and two touchdowns, and was feeling so good after the game that he opened his press conference by clowning Jameis Winston. This is honestly more inspiring than the original.